High quality fleeces from our Lincoln sheep in a range of shades -white, ecru, silver, gray, variegated, charcoal and occasionally a saturated black. Well skirted adult fleeces generally weigh between 5 and 7 lbs. and cost $12/lb. to $14/lb plus shipping. Lamb fleeces are lighter and cost $14/lb. plus shipping. Staple length can range from 4.5" to over 6", depending on the fleece. 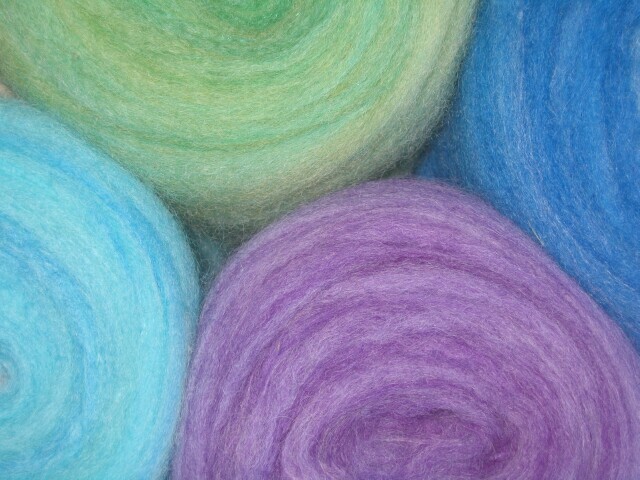 From time to time I offer fleece sample packs, where one gets a pound each of white, silver and charcoal fleece for $60 which includes priority shipping in the continental US. We also sell washed Lincoln locks which are well suited for a wide range of fiber arts, including spinning, needle felting and doll making. 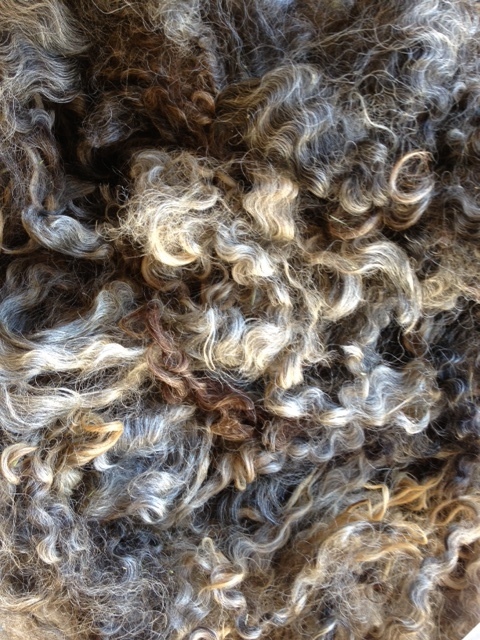 The washed locks are sold by the ounce and come in natural as well as dyed colors. North Valley Farm also has Lincoln and Lincoln/Romney blend rovings available from time to time.